As we come to the end of the month and now a third of the way through the quarter of education , its time for reflections of what was created in the Year of Living Honestly. With three concepts this month, a broader perspective of education utilizing amusement provided discoveries to innovate, create and relate differently. To innovate means to work with what is already established and develop broader insights and evolutions. 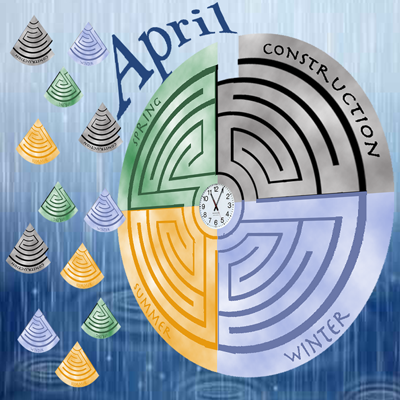 The basic forms of the labyrinth; the ways to walk, the methods of sharing, the practice of design, artful redistributions, or our personal experiences all began with an idea and the more we appreciate, educate and amuse ourselves with possibilities, the more we evolve the realm of the labyrinth and its use. Where innovation is redesign and redeveloping on a current element, to create is to bring into existence something new. Creativity can stem from innovation, though true moments of insight that bring a unique perspective are also examples of truth and development of our honest abilities too. Our third concept of relating mirrors everything of importance in the world, because as humans we relate to everything. How we relate is our great adventure, potential and life process. When using a little humor in our walk of life or a simple walk of the labyrinth we can find it a happy catalyst of our abilities inspiring our creativity and firing innovation. We respond and relate to our own capacity for creativity and innovation as our body opens and our mind invites curiosity inspired from what amuses. This month’s journey offered a joyful outlook and inspired creative ideals with thirty opportunities, one in each day to bring out more than we might think we were capable of. 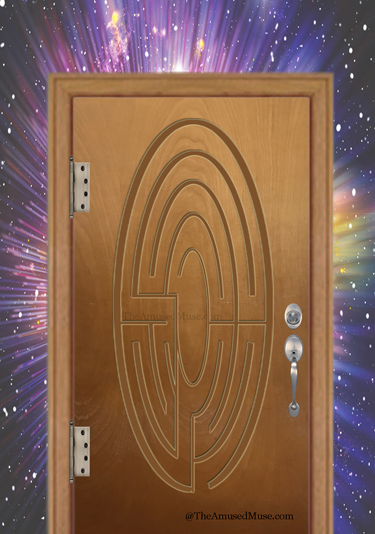 In the thirty designs and innovations used this month in this blog, each related to the labyrinth and life with amusement and brought a most insightful and rewarding way to relate to my own honest abilities and inventive process, I hope it was for you as well. Reflect in your steps the month of your innovations, Creations and improved Relations with a lighter and brighter more amused outlook. My optimistic and honest focus today was to be Fun! When I embarked on my walk to the labyrinth, I was aware that my mind traveled to something that was not fun. Though once at the labyrinth, I sought ways to get beyond my troubling thoughts and feelings. As I continued in my walk, a feeling of playfulness emerged and I decided to walk backward the whole way out of the labyrinth; just to show the shift I had made. At times during the walk, I even closed my eyes, which added some spice and laughs! I discovered that in the midst of the walk, time heals and while I may be feeling impatient for the healing, I am being compassionate and holding myself kindly. My intention of being optimistic and honest became the fun I sought in the end. April showers brought a season of reminders in this month of the fullness of a year. Having traveled in different states this month, the different states of event and experience were realized in most amusing ways. The unusual snows that appeared overnight in Chicago, not once but four times during my stay reminded of the heartiness of the Midwest character as a result of experiencing and adapting to change. It was as if April had become a perpetual April Fool’s Day joke and as it is National Humor Month, the steps taken in becoming more amused with whatever befalls, became a rich opportunity to enjoy and to listen, learn and laugh with the multitude of overly serious attitudes that perpetuate the circumstances we find ourselves in. When we are more ready to listen, we hear more. When we are open to curiosity, we learn more and when we laugh more, we create a dynamic introspective of perspective. The showers of April brought forth a more amusing and appreciative side of ourselves and in the spirit of the season, we encompassed winter, spring, summer and construction season activities all in the interesting span of living a year’s worth of weather in 30 days. With April showers we nourish what we seed and plant, so in this time of seasonable shifts, allow the reflective walk today to harvest what you have sown. Step into your favorite season and notice what occurs in your walk today. Step into each season and observe your responses. The road before us is full of unknown wonders and opportunities. When curious about what truly lays within our ability zone and willing to travel the paths that can take us there is when we are being most honest and loving with ourselves. Risk can be found in the quiet subtle shifts we make as much as in the loud and roaring moments and while the idea can take us out of our normal condition and into exploration and inquiry, it is a catalyst that puts our feet on the path and urges movement. In awe and wonder, this cross country drive included the west, central and southern areas of Utah as the one state that reminds us that in Utah, life is elevated. Appreciating the vast openness of path and possibility, the big sky beams as a brilliant Azul backdrop against an ever changing scenery of wind sculpted artistic displays of mountain range from East to West and North to South. In the width of peripheral scope at first glance there appeared to be two lines of roadway cutting a winding division throughout the state, though at further inspection, pathways of diversity became offshoots of intersections that trailed away reminding of diversity of the many paths available for our curiosity and explorations. One has only to look ahead and be willing to travel into, past and through the unknown to make known the wonders that can be discovered. Curiously stopping to investigate a few interesting invitations of journey, the path appears to be everywhere calling our first step. Be the muse of curious wonder in the steps that are taken or sought out today. Be amused by your own musings. Let your muse of curiosity take you on a journey of the path. Open your body to receive the gems that appear amidst your steps. After long periods of exertion comes the balance of restoration, whether we seek it or not. Our body knows the wisdom of rest that mere humans often do not. After a long drive cross country, the days of rejuvenation now rise to spiral away the extended efforts of energy consumed while conversely spiraling inward a remembered natural restorative resilience. 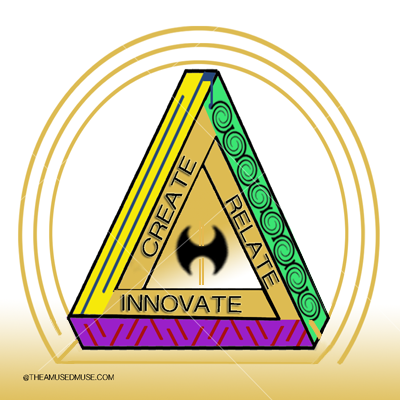 In what we release, the wisdom of our human condition is to increase and beyond the idea of balance, is the opportunity to evolve harmonic equation. Im making a labyrinth design out of the balanced Yin and Yang symbol, the labyrinth design overlaid gives a new element and dimension to balance and evolves its purpose. Today’s message becomes one of amusing creativity with what is called for and what is available and in looking around from the resting place, the Yin and Yang symbol came into focus, it’s natural message of balance was just the right communication for the day. Creativity can be a way of realizing a quiet restorative and bring all sides and viewpoints into one focus. 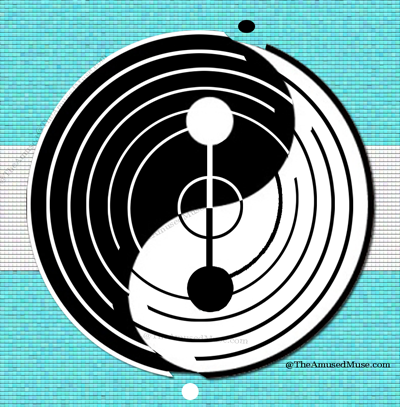 This walk through of the yin and yang can take us on the ride of our differences, yet it also reminds us that it’s symbol is one whole and like our walk of the labyrinth, it is one walk to awaken, respond and realize in steps to fully realize the whole. In this labyrinth walk of Yin and Yang, begin at the bottom and find your way to the top, cross over the border of duality between white to black at the top instead of exiting and you will end where you began. Amuse your many parts with a walk today that brings the seemingly different sides together as one. 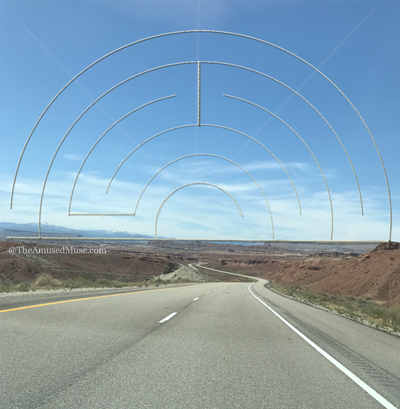 Having spent the better part of the last few days behind the wheel of a car traveling cross country, the wheel became a fascination with circular reality. It purposefully led the direction and where it went straightforward mainly, there were turns and new directions to embrace; each defining the journey and the point of direction. The wheel itself turned left then back to center, right then back to center and continued in a natural way that appreciated the labyrinth and what it can offer in similar migration. The next time you partake of a journey, consider the directions and redirections made by the simple turn of fate and turn on purpose. 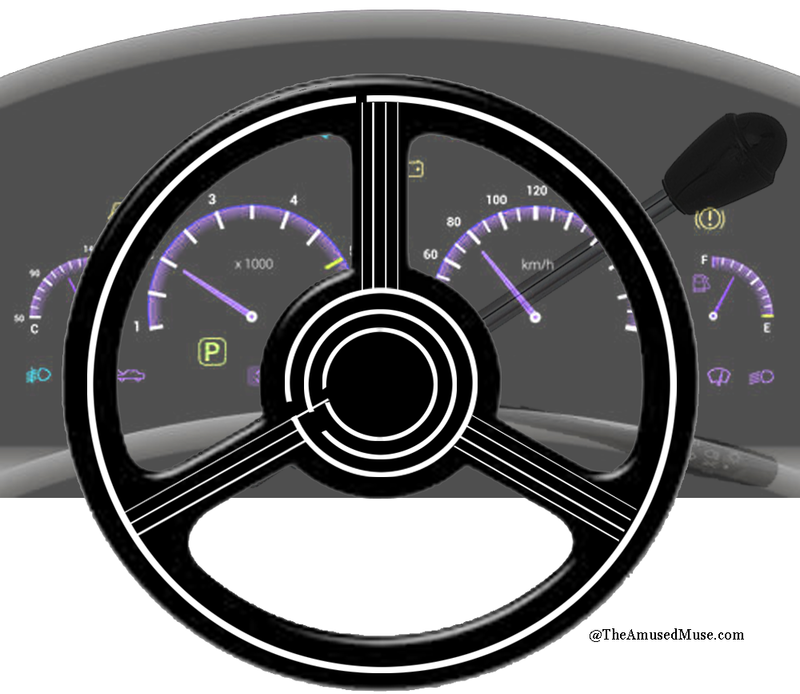 Let the wheel of life rotate to bring great directions and reflections. 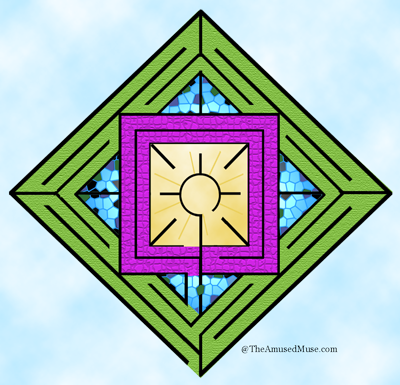 Take a walk today on the labyrinth and notice turns and directions that guide you. Consider the many turns and directions throughout your day and where they lead. Waiting brought attention to the environs of the room in which participants acted as waitees, each with a unique way to pass the time. It seems when we wait we forget the opportunity to simply communicate. We have the commonality of why we are waiting and what we are waiting for, though engaging people into simple conversation can sometimes seem a challenge. Finding no need to push beyond the boundaries of receptivity, the mind can be entertained with an engaging experience of imagination in the use of what surrounds us that we don’t often see. What became present was the doorway. 59 rings displayed the natural origin of the wood in age of the hallowed tree that it was produced from and amused by the circular nature of the rings, the design of the doorway became a new threshold experience for the labyrinth. Passing time with amusing pursuits invited the creativity to see beyond mere rings and into the wisdom of this doorway. It brought opportunities to discover more beyond its stationary position in the wall and left to imagination and inspiration of what possibilities might lay just beyond the door frame. Always inspired by doorways and the invitation to live on the other side differently, each doorway holds that opportunity. Yet, why wait to go through with waiting being the operative word for the day; seize the potential of play and beyond the mind of design and like this new doorway, waiting can be a productive and potential building bit of amusing insight. The labyrinth can be a doorway to unlimited possibilities. The truth within us communicates many meanings and messages that encompass our depth, expanse, wisdom, compassion, insight and even our amusement. We are given a lifetime to explore the nature of our truth, capacity and contribution and the more we lean toward the lightness of who we are, the easier the simplicity and exploration and appreciation for the importance of this time which we are allowed to discover. A lighter look at the world can allow us the chance to view it with greater vision and perspective and in doing so we can weave the elements together that bring out more of who we are as a whole. Today’s sojourn among the Miracle Keepers brought us on an internal journey that became connected in the path we walked collectively. Listening to the sharing of the members became a reminder of how each communication had a way of being relevant to all participants. Listening elevated the feeling of the group on the walk and in the talk and in reflection today’s design developed from the evolution of the experience. It brought a window of light into the window of the world of we. The lines of listening can provide us with many light moments and levity as this might be the actual opportunity in the world wide web to discover the world’s we window. Walk with others who have come on the path before you taking the same steps with individual perspective, walk with those who will come and realize a moment of connectedness in your steps. Just as the amusement can be found in your day when you are of mind to look for it, the labyrinth can be discovered in the most interesting places too; often that can be an equally amusing encounter to appreciate as well. In today’s adventure both amusement came and insight in discovering first the four way pattern in the flooring of an apartment. 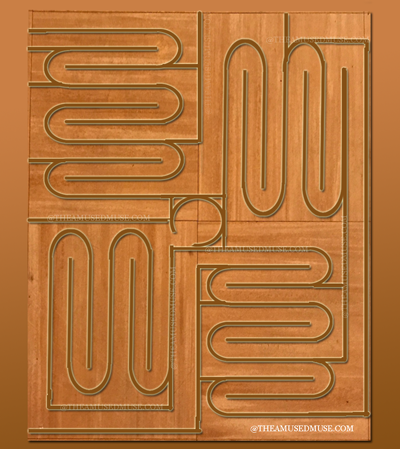 The landlord shared that it had radiant heat flooring so the floor would always be comfortable in the winter time. At first glance the grain of which the tile moved adjacently to the next tile in a different direction brought the back and forth traversing of the labyrinth paths to mind. In viewing four of the squares, the traversing pattern changed direction and focus when moving around the four squares, similar to the concept of the Roman Labyrinth with each square completing before moving on to the next. This design moves back and forth again in each square for a forward and seemingly backward motion that propelled a forward motion. 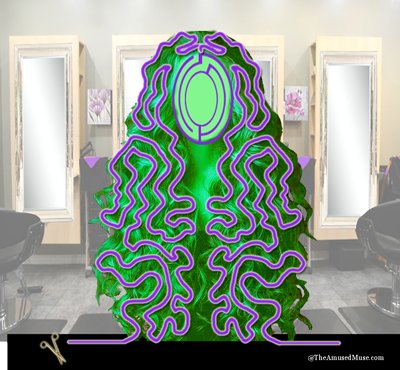 The traversing is not unlike the radiant coils that lay beneath the surface of flooring and only after completing the design did the illustration of the flooring arrive to demonstrate a similar pattern. When we follow a feeling and flow with it, we can often learn how on track with a certain path we are. In those moments, we become most honest with ourselves in what we are capable of and often humbled by the synchronous factors that come together to remember to trust ourselves more. On this particular day, the intuitive met the creative and together the radiant experience brought a new warmth to the path laying under our feet without our having realized its value. How amusing to focus and discover how much is truly apparent about what lays just below the surface. Discover the patterns that appear today and recall where else these similar patterns show up in other parts of life.